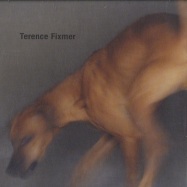 during the recent years, terence fixmer kept on being prolific by producing and releasing his music output on well esteemed quality labels such as ostgut ton, novamute, jealous god and recently on aufnahme+wiedergabe. 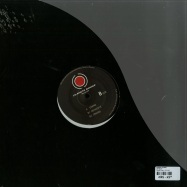 following a constant workflow, fixmer decided it is now time to restart his label planete rouge which he launched back in 1998 already but has always been irregular in terms of releases. the label will relaunch after a 4-year hiatus with his new 12-. terence fixmer s oppression ep is a great resume of his unique sound design signature, delivering a collection of four energetic tracks that speaks to the soul. 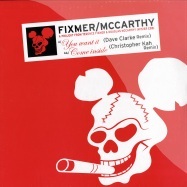 on top of it, as an homage to one of his all time favourite tracks of the normal / warm leatherette from 1978, fixmer decided to rewrite this 40 year old tune from daniel miller as a a personal pleasure and fun. by using as well the mini korg 700 s terence fixmer recreated nearly the original sound, keeping a track that is loyal to his own sound as well as its original spirit. 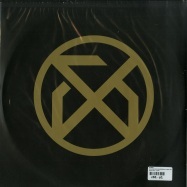 ...limited edition of 500 copies. 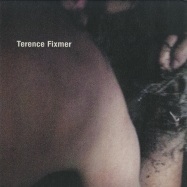 having remixed depeche mode and dj hell as well as releasing a new fixmer/mccarthy single with douglas mccarthy (of nitzer ebb), 2017 has already proven to be a productive year for terence fixmer. with the new force ep, the berghain resident follows up on 2016 s beneath the skin ep (o-ton 97), offering four stylistically different but congenial techno scenarios for club use. 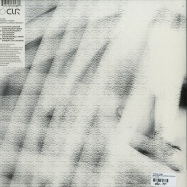 the record s eponymous track on a1 doesn t think twice: the initial signal horn starts as sudden as the staggered kick drum rhythm, reoccurring throughout the cut s 6-minute playtime while sustained and oppressive screams from a synth, extra multifaceted ebm percussion and synth drones add to the overall sombre atmosphere of ôforceö. 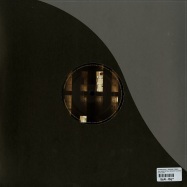 the musical vibe distinctly changes with ôsidewalkö which puts more focus on synth melodies û like its predecessor a techno cut per se, but with a stronger accent on hypnotic motifs. 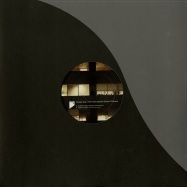 on b1 ômelting planetsö emphasises the kick: clocking in slightly slower than the other three tracks û at 122 bpm û the bass drum here sounds extra vivid, ever-present and spot-on, just as if terence was playing the drum kit sitting right next to you. 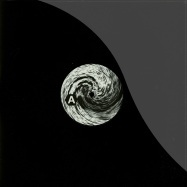 with additional percussion and swirling melodies ômelting planetsö is a lulling, mesmerizing meditation in dub techno. 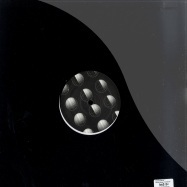 ôstriking patternsö on b2 links to the best moments of force ep s a-side, combining bone-dry bass drum hits and distinctive brazen, banging noises, pulsing synths pads and sizzling surface sounds. 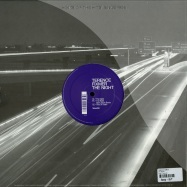 sonic groove records further ignites 2017 with the label’s second release of the year by fixmer/mccarthy titled ”chemicals.” the legendary douglas j. mccarthy, founder and frontman of the seminal and pioneering ebm project nitzer ebb, continues his alliance with contemporary techno producer terence fixmer together lending to the electronic music landscape with their combined artistic initiative. 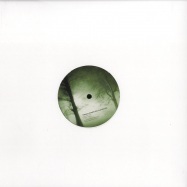 terence fixmer goes beneath the skin on his first solo release on ostgut ton. 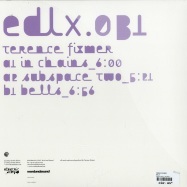 terence fixmer his known in the late 90s , early 2000s as the creator of the tbm, described as techno body music. 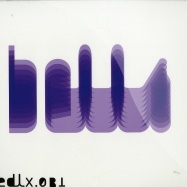 a mixture of the ebm soundscape with the modernity of techno. 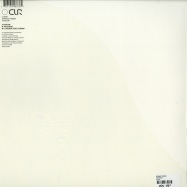 his muscle machine album (including tracks lile electrostatic, body pressure) released in 2001 became a reference of the genre. 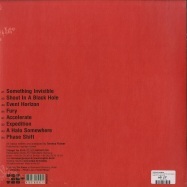 in 2003, musician terence fixmer and legendary singer from cultissism band nitzer ebb, douglas j mccarthy embarked on a project that spearheaded the fusion of techno and ebm. 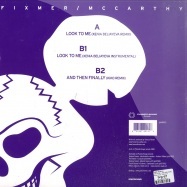 they named it fixmer/mccarthy and they were the precursor to a new breed of techno artists that manage to traverse between an array of scene specific genres without being tied to any. since releasing their first album, >between the devil<, in 2003 terence and douglas have ridden the line between pure techno and the recognizable song structure of classic electronic music and ebm. now, with over 13 years working together for this project and playing around the world, they return to their signature raw sound and delivery. 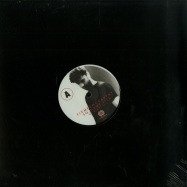 >so many lies< is quintessential and brooding techno, while the instinct mix epitomizes their ability to craft a catchy bubbling baseline whilst all the while dispatching cold steel aggression. 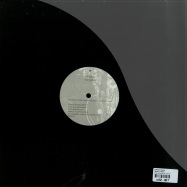 succeeding his profound and forward-thinking album >depth charged< which was revealed last february, terence fixmer returns with >depth charged remixed< featuring ostgut tons answer code request and uk’s underground techno hero steve bicknell. >elevation<, originally the final track of the album, emotional and reflective, is kicked up a notch by acrs patrick gräser by adding ponderous drum patterns making it perfect for the floor. conversely, steve bicknell takes on >unforeseen<. with its fast paced rolling bass it is now put into top gear shivering with feverish reverberations. 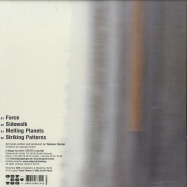 to compliment each variation, included on the ep are fixmers own live versions that have energetically filled dance floors throughout his tour. 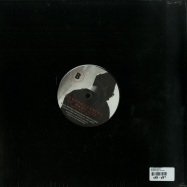 12 inch black vinyl by sal mineo. 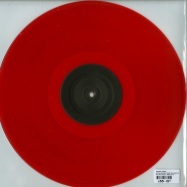 (ltd to 300 copies on one sided red transparent vinyl) reissue of this ebm classic. 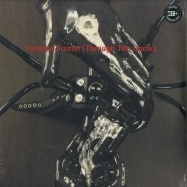 over the past two decades, french producer and live performer, terence fixmer, has continued to evolve as an artist while maintaining his influential stance in international techno culture. with his last solo album, comedy of menace, already five years behind us, his continuous evolution has led him to produce his most introspective album yet. with this 10-piece composition fixmer is able to tell a story from start to finish, with powerful, deep, dark, pulsating tones that are essential to his musical approach. 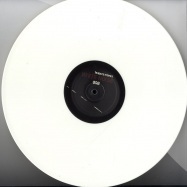 first record pressed on black, second on white vinyl. 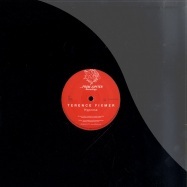 we are very happy to welcome on deeply rooted a french techno legend, mr fixmer has been very productive in the past 20 years, we only got to properly meet each other recently, and i am very proud of this 4 tracks he delivered specially for deeply rooted! enjoy. dj deep. 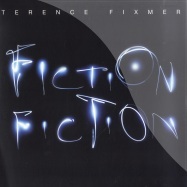 - two old classic tracks from terence fixmer new mastered and with remixes by regis and alexey volkov! 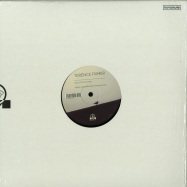 terence s new release is a 3 tracks ep , with a mindness travel to no destinations, exept for the one to hypnotize with some cold and deep orientation, include on it another deep version reworked by prologue artist iori. 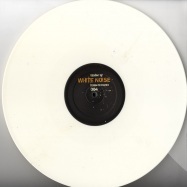 also well known from his outstanding phonica white series release. 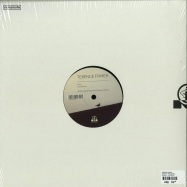 electric deluxe is proud to present the new terence fixmer ep le terrible. and as the name already suggests this ep is up for some serious damage. a side kicks off with le terrible a dynamic and powerful monster of a techno track which pumps up your adrenaline with its pounding bass drum and hypnotic built ups. gut feeling! 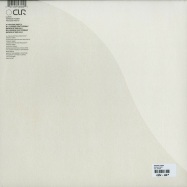 b1: concept c is a strong track in which terence fixmer works his production magic with more experimental elements such as drone sounds and his ragged and slightly distorted signature bass. nonetheless creating a high energy level tune ready to be unleashed on the dancefloor. 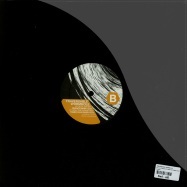 b2: last with the vinyl version dance like paranoid (marcel dettmann remix). marcel dettmanns remix wins you over by its carefully arranged melody and drum pattern which creates a melancholic and timeless rave anthem. bliss! played and supported by: adam x, ben klock, samuli kemppi, dvs1, edit-select, norman nodge, oliver ho, perc, shifted, cio d or, max_m, lucy and more... m_rec ltd continues to ascend as one of the the most interesting labels in the techno scene. 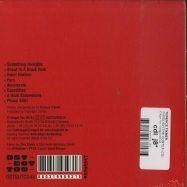 today s release sees giorgio gigli (prologue music, zooloft, electric deluxe, elettronica romana, etc.) 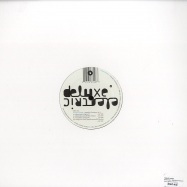 sign two original tracks and a remix of one of the most important artists of the past few years: terence fixmer (electric deluxe, prologue music, etc.). together, their approach creates something special and unique. 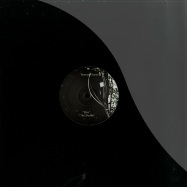 in its original track giorgio gigli delivers the best of its hypnotic and psychedelic techno. 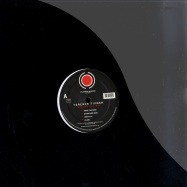 a great atmosphere, where the ambient pads meet the dark bass sound which made giorgio one of the most significant artists in the new techno scene. 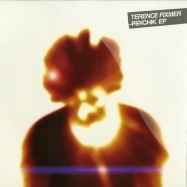 the side closes with an ambient session, a drone of pure electronic,dark synth, making the idea of the state of mind of his own individual unconscious.terence fixmers version is decidedly more rough, stripped of certain atmospheres, highlighting a more hypnotic and repetitive attitude. 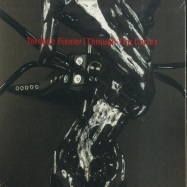 this rough sounds have for many years marked terence fixmer as an icon of the techno world. 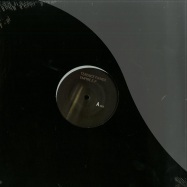 this is a great release of modern techno! 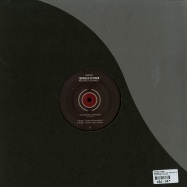 bangin and spooky killer techno , with remixes from speedy j & t. fixmer !! 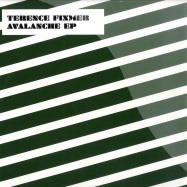 terence fixmer on a roll with an absolutely massive, stripped-down techno bomb. 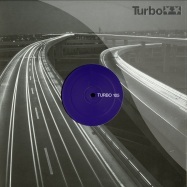 the 100th release from synewave records continues after the great success from part 1, the final round gets special treatments by terence fixmer (electric deluxe, international deejay gigolo, jupiter ),dave ellesmere (kanzlermant, 100% pure, intacto), & italy’s ascion (drumcode, 8 sided dice). to properly complete this release, the original classic has been specially remastered and added. already having support and play from adam beyer, the advent, joseph capriotti, richie hawtin, gayle san, chris liebing, adam x, dj submerge, and many others. 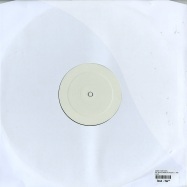 upfront final copies only via decks.de. welcome terence fixmer on prologue with his new collaboration project together with claudio prc from prologue. both working excellent together and the new duo comes with a mindblowing pure and crafty techno killer tune with the right touch of french and italian senses. perfect electronic music hand-picked! 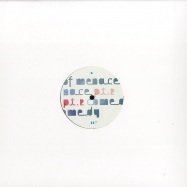 comedy of menace part 2 is the second vinyl single from the critically acclaimed artist album >comedy of menace< by terence fixmer. hypnotizing and mental in many ways, >comedy of menace part 2< reflects the character of his full length, and shows once more the versatility in terence fixmers productions. reworks by artists such as niederflur and brendon moeller pay tribute in an equally varied way. 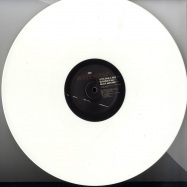 the vinyl includes the dubby and light original of >phantoms<, and the sensitive rework by niederflur on the a side, who transform the original into a more driven and dancefloor appealing techno track, without loosing the originals tender essence. 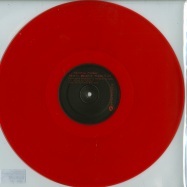 the b side presents the hypnotic original >breathless< and brendon moellers remix of >things are over<. applying his very own dub techno fingerprint and creating a timeless soulful groove monster, its shifting the your reality from head to toe. 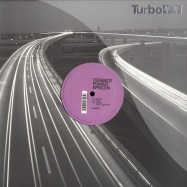 turbo proudly presents terence fixmers >epsilon<, two no-nonsense techno tracks by a french ebm and electro legend quickly making a name for himself as one of the new mega-producers in the techno arena. >epsilon< comes as a follow-up to fixmers fourth studio album >comedy of menace<, released this month on speedy js electric deluxe. 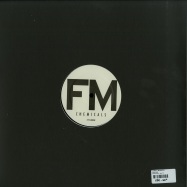 it showcases fixmers refined style of big-room, percussion driven techno, while maintaining the hypnotic synthlines and industrial touch familiar to fans of his impressive 15+ year career. 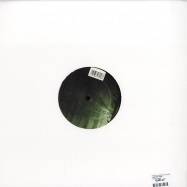 complimented by a strange and beautiful remix by turbos glaswegian phenom, sei a, >epsilon< is an ep with which we venture deeper into the groove of pure techno. 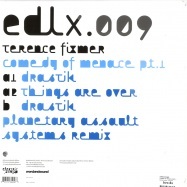 electric deluxe is proud to announce the release of comedy of menace by terence fixmer, as the first artist album on the label since its launch in late 2008. with his distinct style and personality, terence fixmer caught the attention of owner speedy j at a very early stage of the label. 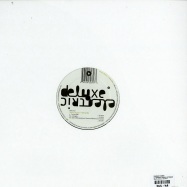 his first ep on electric deluxe >machine< (with speedy j remix) was released in the beginning of 2009, followed by >electric city< (with function & speedy j remixes) in 2010. as a first glimpse on the upcoming album electric deluxe will release the ep >comedy of menace part 1<. 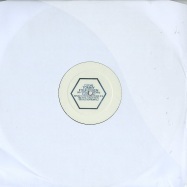 ?the vinyl of the ep includes two original album tracks >drastik< and >things are over< and a hypnotizing planetary assault systems remix of >drastik< which already disturbed the dancefloor at this years demf. 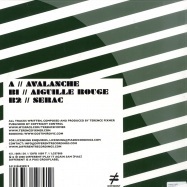 as all electric deluxe releases also this ep is digitally accompanied by a >drastik< speedy j tool and a >drastik< terence fixmer tool. 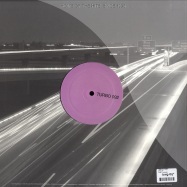 electric city (original) is a classic industrial techno track combining the driving force of relentless beats and bass with the huge rooms the that roland drum machines open up when you put massive reverb on them. its hypnotic and psychotic sounds appeal to the primal side, driving you to forget about coolness and unconditionally express yourself to the beat. uplifiting and dark at the same time, electric city echoes the high tech metropolitain dystopia we live in today. >echoes< presents itself with a forward marching industrial beat, piercing synth lines, and sweat inducing rhtymic patterns. 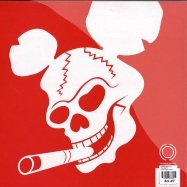 its psycho bleeps are pure industrial funk. when the vocal sets in youll feel the relief on the dancefloor as the straight forward groove brings out the primal need to put your energy and emotion into expression: dance. 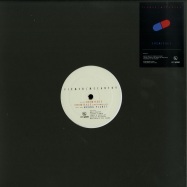 function s remix of electric city is dark !! after the great succes of fixmers last release on white noise (004), the french electro/techno legend is now back with a new smashing 3 tracker. 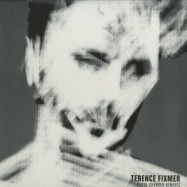 300 first copies and hand signed and number by terence himself! 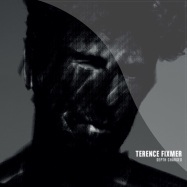 icon of the electronic north of france, terence fixmer is one of frances most treasured protagonists of the techno scene, of which he has been at the forefront for over 10 successful years. 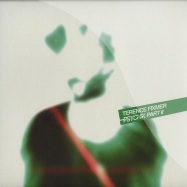 respected by his peers and adored by fans of radical over- and underground electro, equally at ease in the club or at a pure techno festival as he is in the so-called dark scene, terence reached this respected level, without ever succumbing to excessive promotion or subscribing to the mainstream. 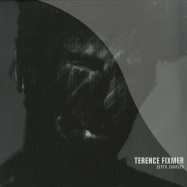 fixmer/mcarthy is the parallel music project of terence fixmer in association with the legendary voice of nitzer ebb . 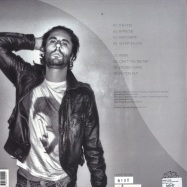 a side look to me has been remixed by xenia beliayeva and the help of his partner in crime andré winter. 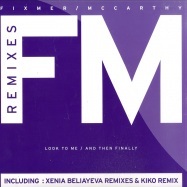 xenia deliver here for look to me an amazing and fantastic remix !!! funky , groovy as hell with a stunning compressed sounds !!! this remix would be describe in french as de la pure bombe !!!! or in german hammer !!!! . no other word for this perfect remix !!! b side kiko is a surprising producer. its always a suprise as we never know how it s gonna sound. 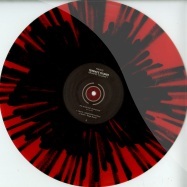 the new planete rouge comes with three darker electro tunes !!! terence fixmer’s path through the changing techno landscape of the past 20 years has been anything but direct. 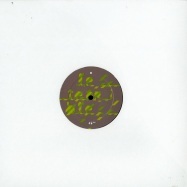 indeed, the french born producer, musician and planete rouge label founder has long been influenced by the periphery of continental european dance music subgenres from electronic body music, new beat and acid, before combining them into his own pioneering hybrid of futuristic, ebm-inflected techno with classic releases such as 2001’s muscle machine or the collaborative between the devil lp with nitzer ebb’s douglas mccarthy as fixmer/mccarthy. 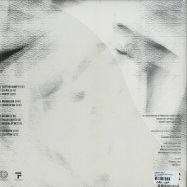 while the sound in recent years has been rediscovered and recast in diverse contexts by a new generation of producers, through the cortex sees fixmer gravitating toward a different kind of industrial-tinged electronics, led as much (or more) by analogue sequencers, melodies and ultra-saturated sounds of synthesizers than drums and percussion. across eight tracks at a compact but varied 40 minutes, the lp touches on an aesthetic hinted at in recent ostgut ton releases (2016’s beneath the skin ep and 2017’s force ep), revealing a sonic narrative through noisy, screaming synth/vocal riffs with a jagged, guitar- like post-punk sensibility. dave clarke returns to skint records with his new single * charcoal eyes* backed with remixes from dfas factory floor and terence fixmer.